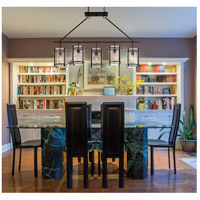 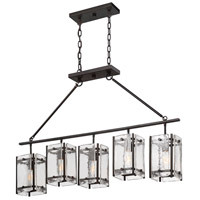 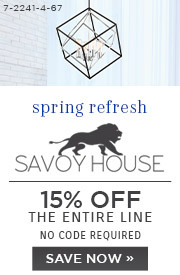 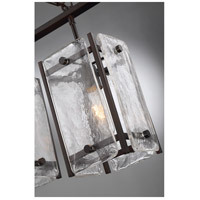 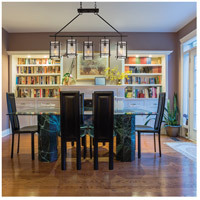 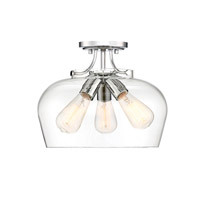 The Glenwood 5-light trestle light, a Brian Thomas design for Savoy House, has a sleek design and features clear water piastra glass for a diffused glow. 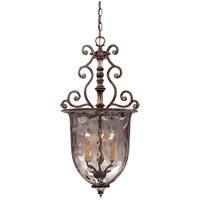 Finished in English bronze. 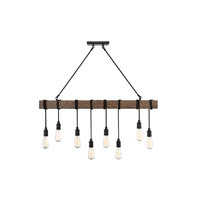 Q How much feet of chain does this come with?? 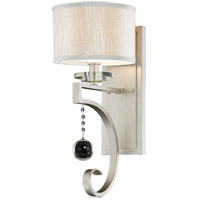 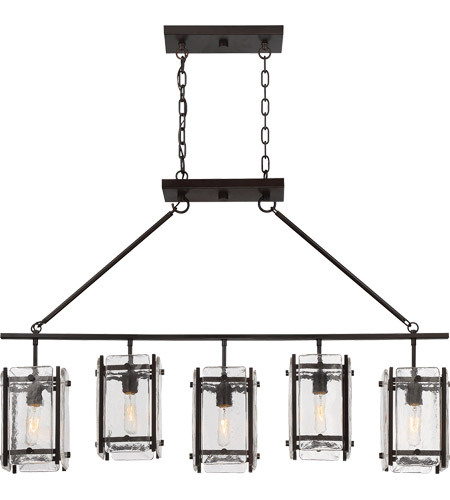 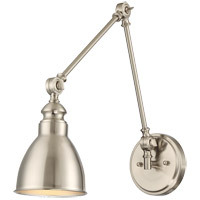 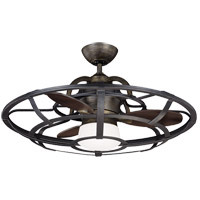 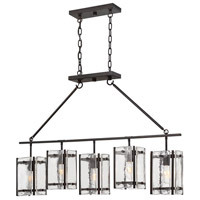 A The Savoy House 1-3043-5-13 Glenwood 5 Light 45 inch English Bronze Trestle Ceiling Light is supplied with 10 feet of chain.